Spryker is one of a new breed of ecommerce systems developed in response to complex business requirements and changing customer needs. We spoke to Inviqa director Richard Jackson to learn what retailers need to know about the platform. How does Spryker differ from other ecommerce platforms? Most ecommerce solutions (on-premise, SaaS, PaaS, and so on) can’t be fundamentally changed or adapted by their users. You can customise and tweak them around the edges to varying degrees, but they work around the premise that retailers (and their customers) are fundamentally looking for the same things. Spryker is fundamentally different to other ecommerce platforms. While it does offer out-of-the-box features, it's best thought of as a developer-focussed framework than an off-the-shelf solution. But not every retail business (or its customers) has what could be described as ‘standard’ requirements that can be addressed with an off-the-shelf solution. The most common model of ecommerce is B2C, for example, i.e. a consumer purchasing from a retailer. But consider a printer spare parts company with an Internet of Things (IoT) business model, for example, whereby it’s the printer itself, not the consumer, placing the order to replace a cartridge or part. Spryker Commerce addresses these needs by rejecting a ‘one-size-fits-all’ approach to solving ecommerce challenges and giving retailers the tools to do things in a fundamentally different way, developing exactly what they need from the ground-up. Rather than providing a single, monolithic product, it offers decoupled frontend apps and backend capabilities with a Lego-like toolkit of individual software components. These hundreds of bundles, each with their own versions and repositories, provide the flexibility and control to build a tailored ecommerce platform that can scale around your business. So rather than starting with a lot of platform features you then need to throw out before changing the architecture and building what you DO need, Spryker’s approach aims to provide you with the best foundation for your individual requirements. Spryker Commerce has an easily extendable and modular core that removes the complexity associated with customisation and maintenance. Its flexible architecture supports everything from mobile apps, to bots and blockchain. Speed and agility. Spryker Commerce is designed to streamline and simplify the process of developing digital products such as online stores. Its scalable, decoupled architecture allows retailers to build in the fastest possible way around their needs. The framework was built with agility and productivity in mind (Spryker has run studies that demonstrate the productivity gains you can achieve with the framework) and aims to give you more time to invest in creating differentiated commerce experiences (time that would otherwise be spent customising an off-the-shelf solution). Flexibility and control. With 500+ separate ecommerce components on offer (including search, stock management, checkout, OMS, and so on) Spryker’s decoupled approach offers unrivaled flexibility and control. A user can choose to adopt all, some, or just a few of the components (or just parts of components) to achieve their aims. This modular approach means there are basically no limits or restrictions; virtually any scenario can be envisaged and then built. Speed and performance. Spryker is also hard to beat on performance. To give just one example, the system is so highly performant that it doesn’t need to cache content provide a fast browsing experience. Data on orders, stock, and hundreds of other related events is exchanged in an asynchronous and independent manner that eliminates bottlenecks in the system. Individual modules are not dependent on other processes to do complete their work. Personalised, differentiated CX. The obvious advantage of the Spryker approach (aside from all the benefits of having a fast ecommerce store) is that each site user could potentially receive a truly unique, personalised experience based on their needs, without any significant speed penalty thanks to the platform architecture and way data is handled. Who is Spryker aimed at? Spryker is an inherently technical product, and so it’s not suitable for everyone. But for digital leader brands with strong in-house technical capabilities, or for any brand willing to partner with an experienced digital partner to help with the build, it’s one of the most powerful ecommerce tools around for creating differentiated customer experiences. Where Spryker really comes into its own is use cases with complex requirements. For example, where a retailer needs lots of integrations, bespoke functions, and complexity in their tech stack, or where a client has a non-standard business model, (such as the IoT printer replenishment example ) that’s not served well by existing ecommerce platforms. It’s perfectly possible to create ‘standard’ ecommerce stores with Spryker, but that’s not really the point, and the lack of an ecosystem could put you at a disadvantage because there are very few third-party modules available for integrating with other services (such as payment gateways). Spryker Commerce is a good fit for businesses that are data-driven and customer-centric, and that see tech as an asset, rather than a cost overhead. Its clients span everything from online pure-play retailers at the top of their game, to large organisations working with complex systems. It can be deployed effectively in any number of different scenarios, and in practically any conceivable application or industry. Consulting is important when considering whether Spryker is the right fit for you. Because deciding on Spryker (or indeed any ecommerce solution) is a decision that needs to account for your unique circumstances, goals, and strategic direction. Why have I never heard of Spryker before? Spryker is offering a genuinely new approach to ecommerce. It probably isn’t overstating it to say Spryker is at the forefront of modular, API-driven commerce, so don’t beat yourself up for not knowing about it! How do I know whether it’s right for my retail business? Are there any unusual, unique, or bespoke requirements in my business that are not readily (or easily) served by existing platforms? Does my business want or need to take advantage of new channels or features to deliver a competitive edge in my market? Does my business truly value technical innovation as the key to business success? If the answers to those questions are broadly ‘yes’, then that’s a great starting point for considering Spryker. Spryker operates a ‘per developer’ seat model and is completely independent of volume of users, revenue tiers, or other common ecommerce licencing structures. This often makes the licencing costs of the platform cost-effective (certainly in comparison to some of the more established platform approaches). It often reflects the pace of innovation within a business too. For example, if your delivery roadmap is large, and you’re releasing lots of features to drive your business forwards, then you’ll need more developers and hence be incurring more licencing costs. But this is not a problem when you’re achieving lots of great revenue-generating features. Conversely, when the roadmap is less full then fewer developers are required, meaning a lower licencing overhead to maintain the platform. What are the platform’s limitations? For organisations that have technical capabilities, or a technical delivery partner with a clear understanding of their objectives, there’s very little in the way of drawbacks. But that’s the issue: really reaping the rewards of the Spryker approach requires an organisation to really embrace innovation and technical delivery as a way of powering their business forwards. 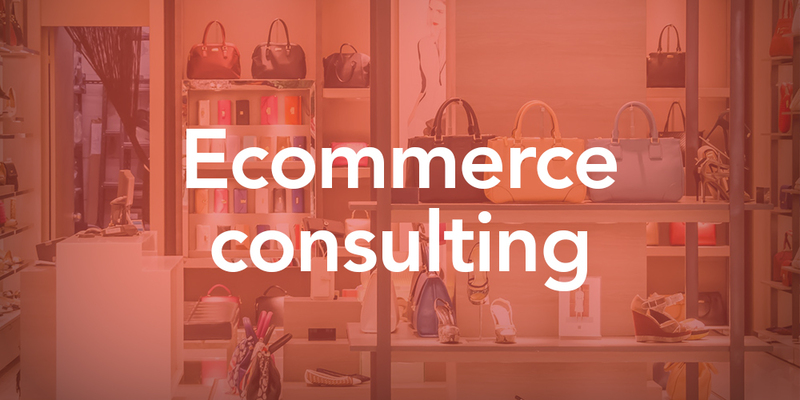 Whether you’re establishing growth initiatives, building a business case, or re-structuring your ecommerce business, our experienced consultants are here to show you your options and guide you on the best course of action for your business. Drop us a line to arrange an informal catch-up. Need help choosing technology, enhancing your ecommerce strategy, or developing a digital roadmap? Our experienced strategists, consultants, designers, and technologists are here to help you achieve your goals faster. Drop us a line if you’re interested in a chat.